In light of Sunday’s Feast of Corpus Christi, I would like to recall the need for the reverent and worthy reception of Holy Communion and to develop an explanation for the Church’s practice of what some call “closed Communion.” Not everyone who uses this terminology means it pejoratively, although some do. But to some extent it is fair to say that we do have “closed Communion.” For the Catholic Church, Holy Communion is not a “come one, come all” event. It is reserved for those who, by grace, preserve union with the Church through adherence to all that the Catholic Church believes, teaches, and proclaims to be revealed by God. Our response of “Amen” at Holy Communion signifies our communion with these realities and our faith in the true presence of Christ in the Eucharist. That is why, from the beginning, the Eucharist has been preceded by a discernment … (I Corinthians 11:27 ff). The Teaching of the Twelve Apostles [the Didache] is one of the oldest writings outside the New Testament, from the beginning of the Second Century, it takes up this apostolic tradition and has the priest, just before distributing the sacrament saying: “Whoever is holy, let him approach, whoever is not, let him do penance” (Didache 10). Many moderns surely would prefer a “no questions asked” invitation to all who wish to come; they love this notion of unity. But to a large degree it is a contrived unity that overlooks truth (the opposite of which is falsehood, not just a different viewpoint). Yes, it overlooks the truth necessary for honest, real, and substantive unity. Such a notion of communion is shallow at best and a lie at worst. How can people approach the Eucharist, the sacrament of Holy Communion and unity, and say “Amen” when they differ with the Church over essentials such as that baptism is necessary; that there are seven sacraments; that the Pope is the successor of Peter and the Vicar of Christ on Earth; that homosexual acts, fornication, and adultery are gravely sinful; that women cannot be admitted to Holy Orders; that there is in fact a priesthood; that Scripture must be read in the light of the Magisterium; and on and on? Saying that there is communion in such a case is either a contrivance or a lie, but in either case it does not suffice for the “Amen” that is required at the moment of reception of Holy Communion. It is unclear and debatable whether or not the “morsel” taken by Judas was Holy Communion (why would Jesus have dipped it?). But still, there is something of a picture of what unworthy (sacrilegious) reception of Holy Communion might cause in an extreme case. Note that the use of the Act of Contrition mentioned here is an exception requiring moral or physical impossibility to go to Confession beforehand and the necessity of receiving Communion immediately (such as a priest who must celebrate Mass). There are some pastoral notes that can be added here later for those who struggle with certain habitual sins that are possibly grave (e.g., masturbation). The Catechism has some notes to review that a confessor can apply to a penitent in such cases. But no Catholic should simply take it upon himself to use the exception described in Canon 916. A confessor must be consulted. To respond to this invitation, we must prepare ourselves for so great and so holy a moment. St. Paul urges us to examine our conscience: “Whoever, therefore, eats the bread or drinks the cup of the Lord in an unworthy manner will be guilty of profaning the body and blood of the Lord. Let a man examine himself, and so eat of the bread and drink of the cup. For anyone who eats and drinks without discerning the body eats and drinks judgment upon himself.” Anyone conscious of a grave sin must receive the sacrament of Reconciliation before coming to communion (Catechism # 1385). In all these quotes we see a tradition that is Scriptural, ancient, and clear: the Eucharist is a sacred meal that requires of us something more than just “showing up.” Indeed, there are warnings against irreverent reception, in which the Eucharist is regarded as ordinary or is treated casually. 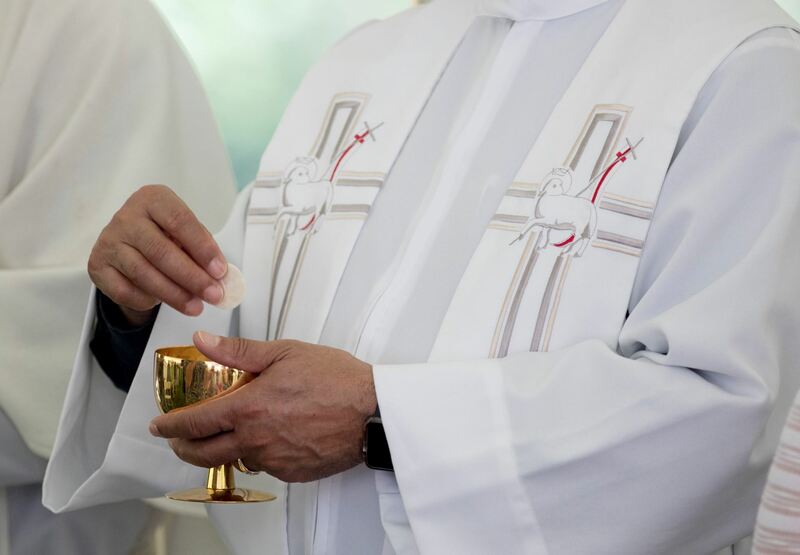 Is the Church merely being “fussy” about Holy Communion? No more so than were St. Paul and the Holy Spirit, who inspired him to write and warn us against unworthy reception of the Eucharist. The Church is charitably exhorting us to receive the Eucharist, but also charitably warning those who are unprepared to refrain from reception. Indeed, Scripture warns that the unworthy reception of Holy Communion brings not a blessing but a condemnation. This is God’s teaching, not mine. Perhaps an analogy can be found by noting that some people are allergic to penicillin. For them, a drug that has saved many lives can threaten their own. They are simply not able to receive it, though it is good in itself. Similarly, sinners, not by accident of birth or genetics but by choice, will find that the Eucharist, though life-giving to many, is problematic for them. In charity, the Church teaches that individuals unprepared to receive Communion should refrain from doing so until the problem can be resolved. This is charity, not cruelty or a lack of hospitality. Thank you for addressing this topic Father; much needed as some current Church leaders have ignored and/or have tried to water down this teaching. I attend one of the churches featured in the video above – St. John Cantius in Chicago (yes, it’s a shameless plug but more Catholics need to be aware that places like this still exist!!!) – and we heard the teaching from St. Paul in the reading at the low mass this past Sunday (1 Cor 11:23-29). I understand that this reading is not in the current three year reading cycle in the new Lectionary (1 Corinthians 11:27–29) – no wonder it is not taken seriously any more. I am a lapsed Catholic who came back to the Church in 2014. Until my marriage was validated by the Church(first marriage for both of us in 1997 done in a civil ceremony), I could not present myself for Communion. I NEVER felt excluded or hurt when I could not go up for Communion. There is a path for anybody who wants to be in full communion with the Church – nobody ever said it would be easy. I also want to thank you and other bloggers for writing about the Latin Mass. I am 45 years old and never knew about it – when I came back to the Church in 2014, I just went to the closest church in my suburb, assuming all the liturgy was the same. I did not discover the Latin Mass until late 2014 thanks to you and others who wrote about it. I hope and pray that others in my generation discover this beautiful, reverent liturgy. I don’t disagree with this article however it seems the Pope and you have different interpretations of our Faith. I’m not being sarcastic either. I truly do not believe the Pope and many of the cardinals would agree with you. I came across this Protestant who was both insistent that the Church’s teaching about the Eucharist is false and greatly offended that he was forbidden from receiving Communion at a Catholic Mass. That made no sense to me at all. Shouldn’t he be thankful that he can’t receive what to his mind was false? I’m thankful that I wasn’t raised in a Protestant tradition that reduces Jesus’ institution of the Eucharist to a symbol and then doesn’t even preserve what they consider to be a symbol by replacing the wine with grape juice. I believe what the Church has lost is the Fear of the Lord. 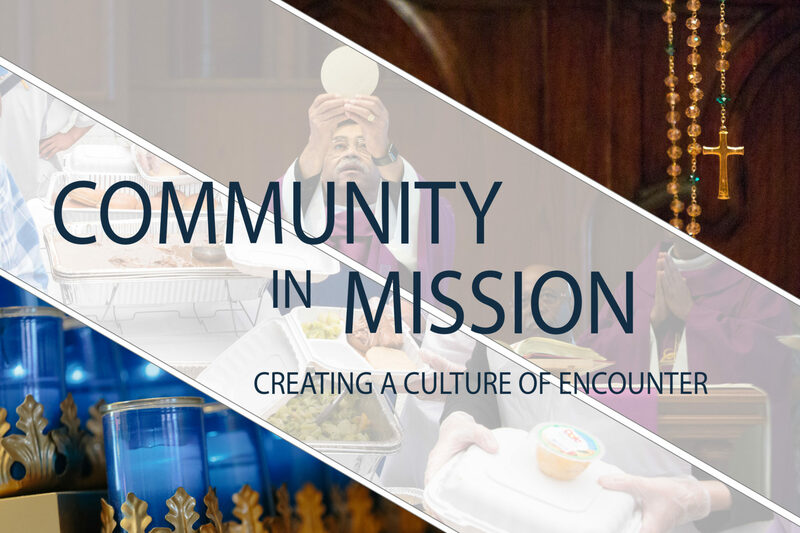 There is such an emphasis on “community” and each other that the purpose of the Sacrifice of the Mass has been lost, along with the belief in the True Presence of Jesus in the Eucharist. Hence, many feel no need to examine themselves before Communion. Most RCIA programs also emphasize the “meal” aspect…that it is a common meal. Most parishes today appear to be extensions of secular schools,sports groups and booster clubs with friends, connections, fund raisers. The Church in many places has lost the Spirit of Holiness and it is difficult to see any difference between the holy and the secular. —-one could discern the body of Christ concurrently upon receipt? “How can people approach the Eucharist…” when they don’t even believe in the TRUE presence of the Body and the Blood of Jesus in it ? This year is the hundredth anniversary of the apparitions and revelations of St. Michael the Archangel at Fatima, Portugal in 1916. He appeared to the children visionaries, Lucia, Jacinta and Francisco. First of all, I am just a plain spoken Catholic who never studied theology. I am alway impressed when I read such thoughtful comments as stated above. I believe the Catholic Church has lost it’s focus on the importance of the sacrament of reconciliation. Roughly, only 3% to 5% of American Catholics are going to reconciliation on a regular of even occasional basis. That is only 3 to 5 people out of 100! What an incredible sacrament that is underused. Imagine you could go into a room where you would be healed physically, emotionally and spiritually. We are healed by Christ every time we are forgiven in reconciliation & we are healed every time we forgive. I believe that it’s God’s will for my life to be healed and whole, so that I am open to experience God’s love, to feel his presence, his grace. A big part of the issue is that most Catholic Churches only have the sacrament available for an hour or two a week. We need to get back to monthly confession or dare I say even weekly? I challenge you to ask your Parish Priest to have the sacrament of reconciliation available before every Mass. I challenge you to go to reconciliation once a month for a year.